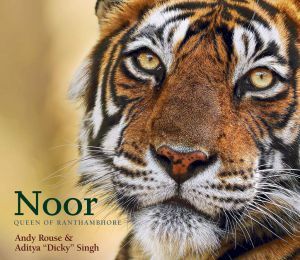 Four years in the making, Noor: Queen of Ranthambhore by Andy Rouse covers all aspects of Noor’s life via a collection of stories about the photographers’ most wonderful encounters with her. 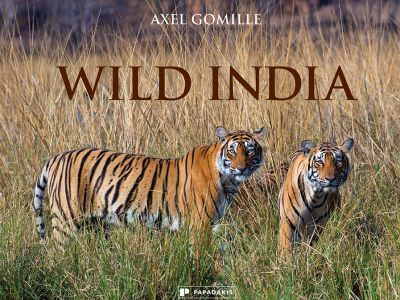 Packed with over 200 incredible photographs, the book is a must for tiger lovers. 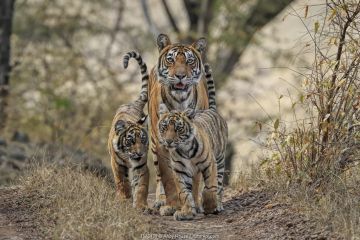 Hundreds of hours of just waiting… watching… and hoping… the reader can enjoy the magical and rare moments, from cute cubs to dramatic hunting sequences. Noor: Queen of Ranthambhore is also a celebration of Ranthambhore National Park in Rajasthan. 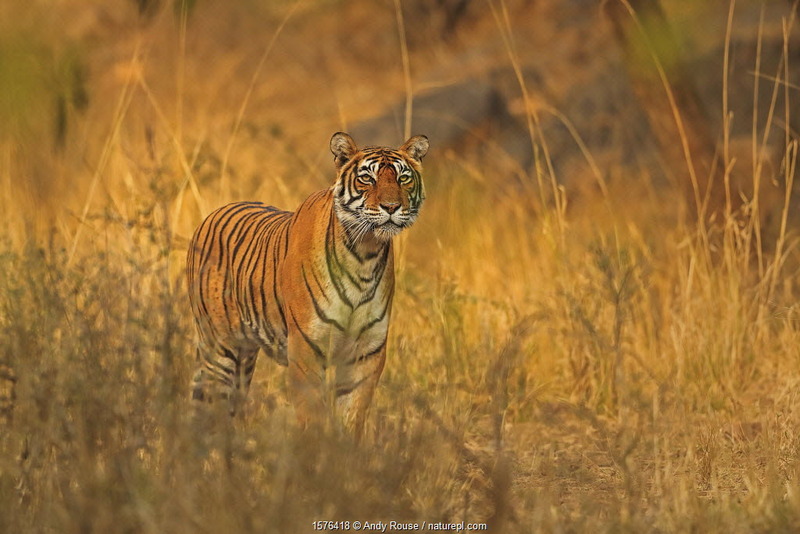 At the turn of this century poachers had wiped out nearly half of the tigers in this area. 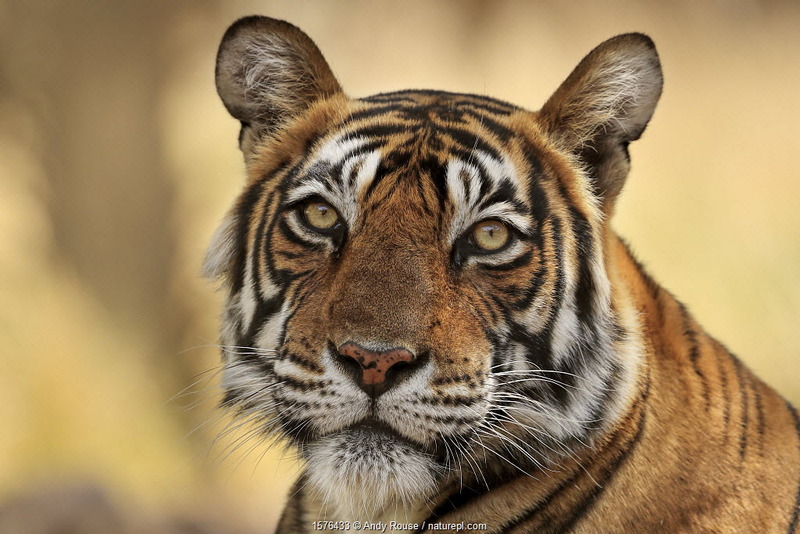 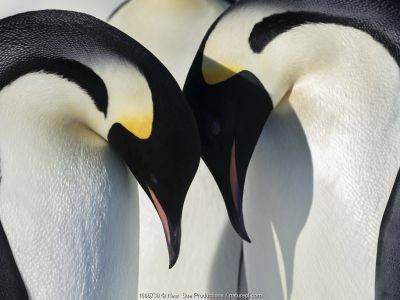 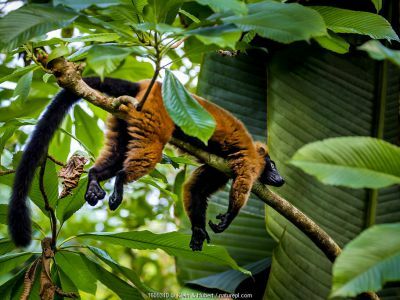 The recovery has been slow and tortuous but the area is now the tiger destination of the world – thanks to the huge effort, conservation battles and unique protection measures of so many dedicated people. 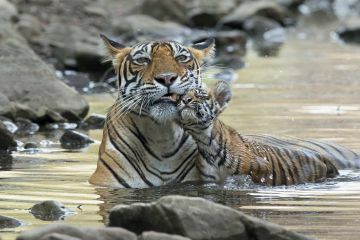 See more pictures of Noor and her cubs. 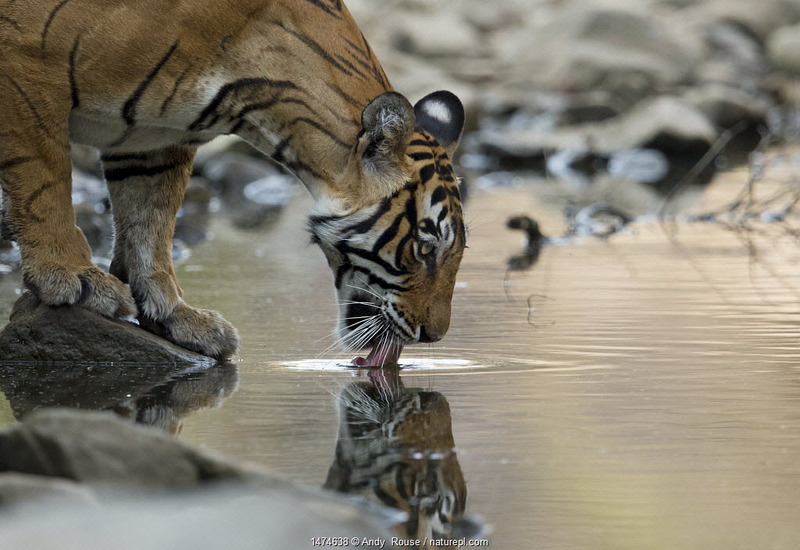 Bengal Tiger (Panthera tigris tigris) female 'Noor T39' drinking. 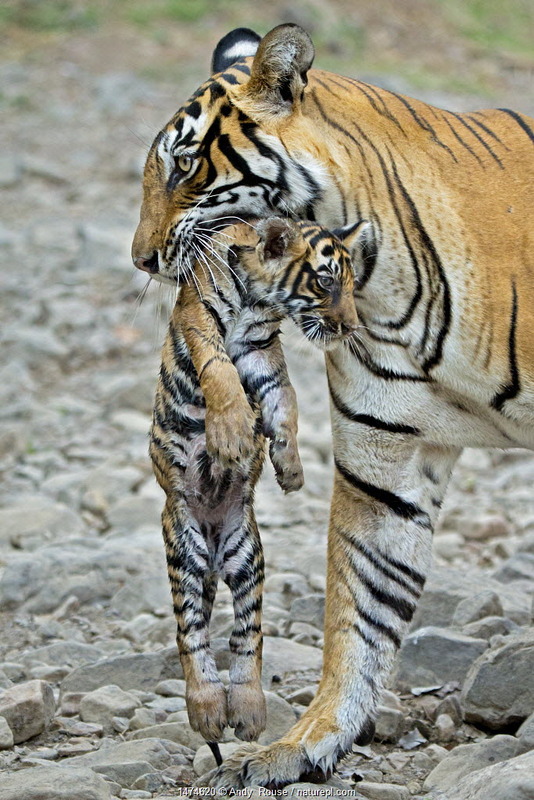 Ranthambore National Park, India. 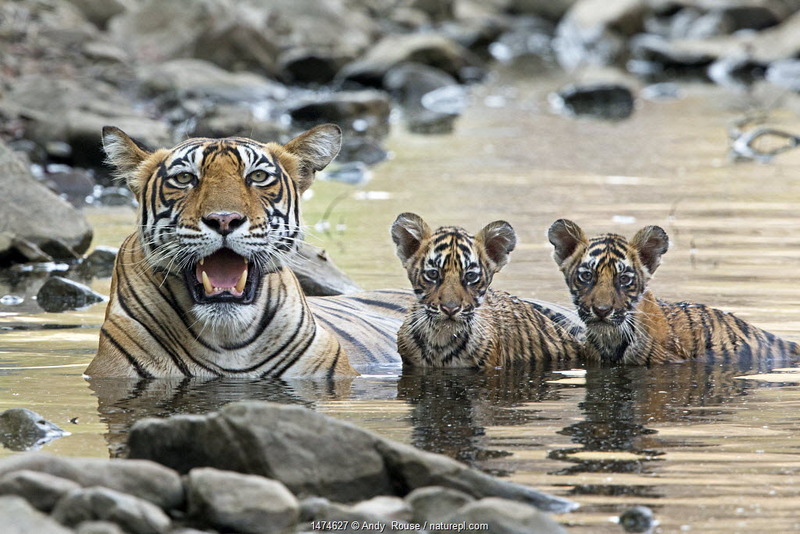 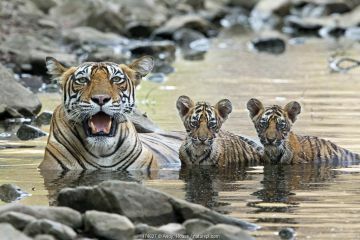 Bengal Tiger (Panthera tigris tigris) female 'Noor T39' with cubs in water. 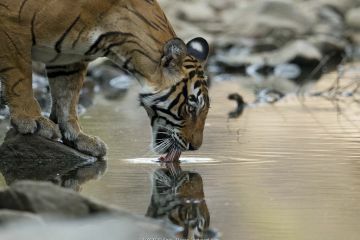 Ranthambore National Park, India. 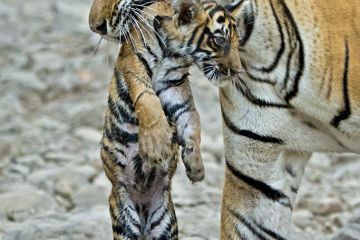 Bengal Tiger (Panthera tigris tigris) female 'Noor T39' carrying cub. Ranthambore National Park, India. 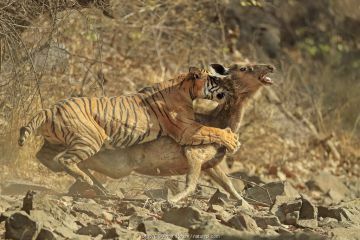 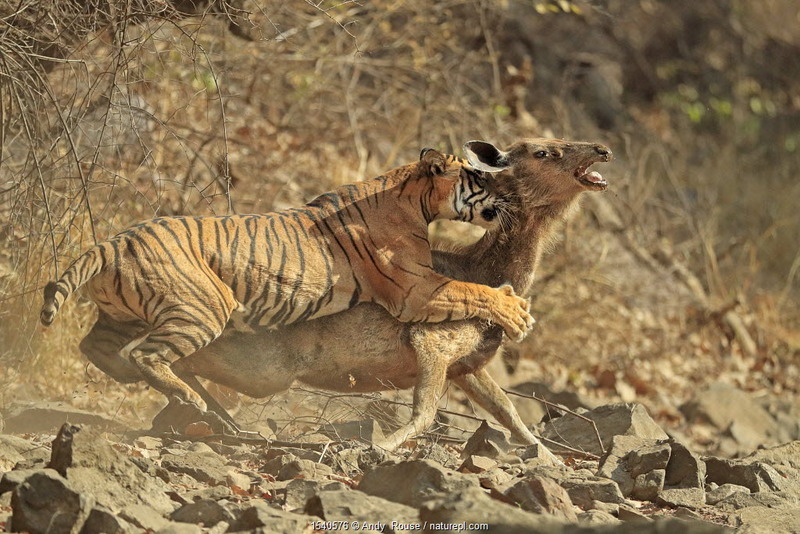 Bengal tiger (Panthera tigris tigris) female 'Noor T19' bringing down Sambar deer (Rusa unicolor) Ranthambhore, India. 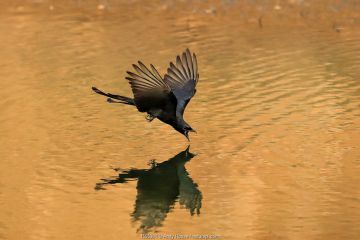 Black drongo (Dicrurus macrocercus) flying low over water to drink, Ranthambhore, India. 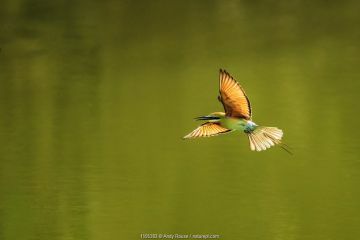 Green bee-eater (Merops orientalis) flying, Ranthambhore, India. 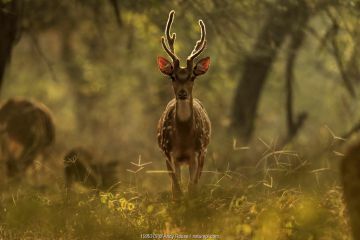 Chital / Axis deer (Axis axis) in forest, Ranthambhore, India. 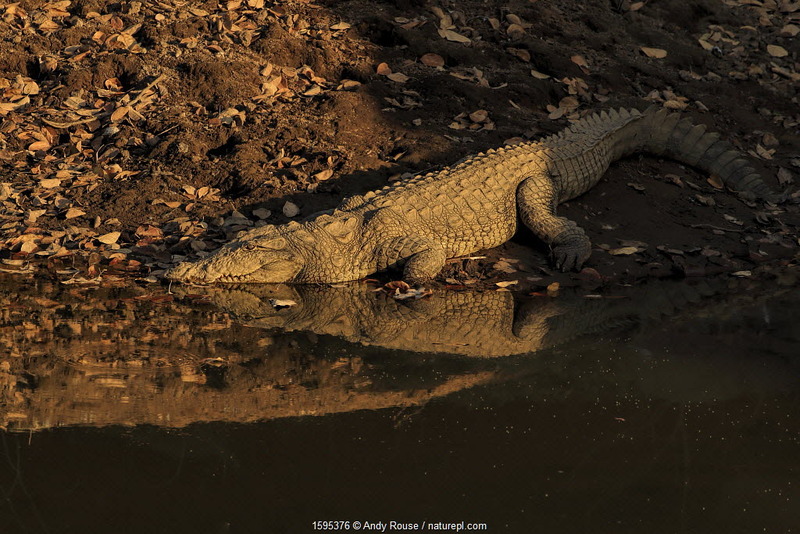 Mugger crocodile (Crocodylus palustris) at water's edge at sunset, Ranthambhore, India.